We have many ways in which you can support our charity and these beautiful Podencos, our Hope for Podencos Food Fund (previously the Give a Pod a Life Members Club) where we ask for monthly donations to help pay for food and treats for all the podencos at the centre, Virtual Adoption where you can sponsor a podenco until they are adopted, and our Amazon Wish List for purchases as often or as little as you would like for the bits and bobs we need as they come up! All Podencos need high quality food to get into shape, probably for the first time in their lives. Many Podencos need special food, such as high energy food, renal food or puppy food. 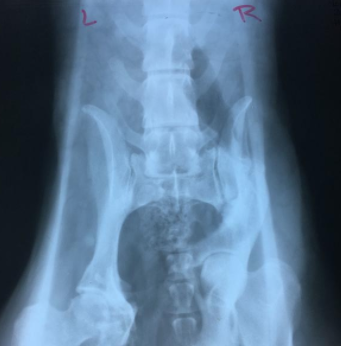 Many Podencos need extra medical care, such as X-rays (these are Karma's hip X-rays to determine her previous injury), and special supplements. All Podencos need protection from insects such as mosquitos and these bills can add up. We do not lock up Podencos in small cages, in fact all Podencos have their own dog bed and they get tucked in every night. We often need to buy travel crates, dog beds, blankets, treats and much more. When you sign up for regular monthly donations Irene and Steve will post weekly updates in our Facebook group Hope For Podencos - Give a Pod a Life Members Club which is exclusive and closed only to members, giving feedback on what your kind donations have been able to provide our lovely pods for the week! We welcome and very much need your monthly donation, without you we can not rescue and take care of the Podencos in need. But of course we understand if one off payments suit you more and we would gladly accept these via our PayPal account using the address hopeforpodencos.es@outlook.com. 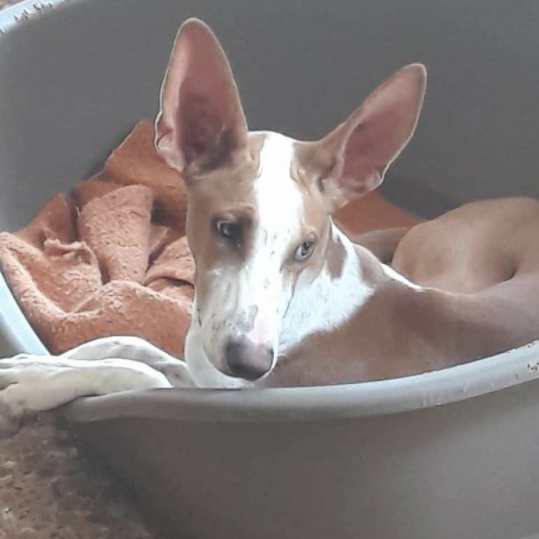 To adopt a podenco please complete our preadoption form. Thank you for helping the precious pods in need!